Short stroke cylinders profiled version. Short-stroke cylinders with stainless steel piston-rod and profiled anodized aluminum barrel. 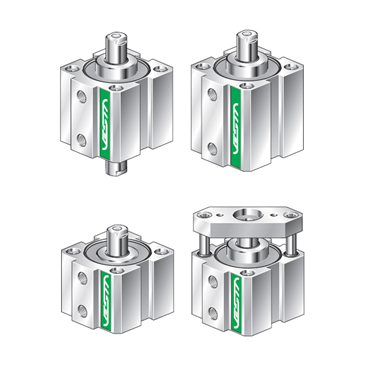 The profile series can be configured in the following versions: double or single acting, magnetic or non-magnetic, with through rod or non-rotating.